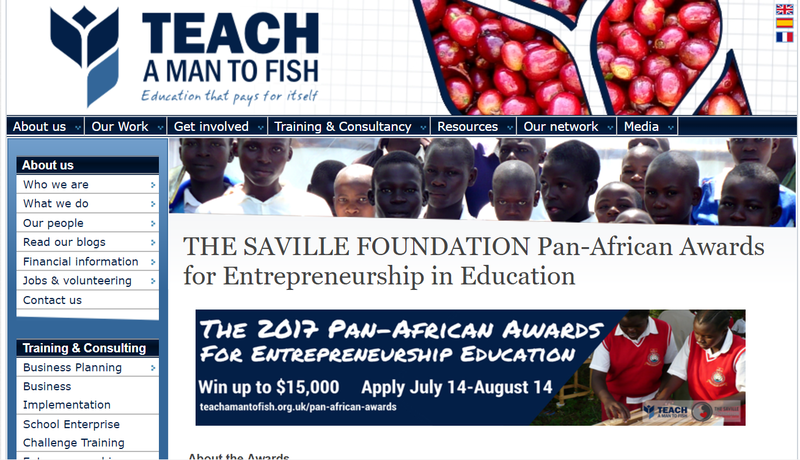 The Pan-African Awards for Entrepreneurship in Education​ is a competition initiated by Teach A Man To Fish​ and generously sponsored by our partner organisation The Saville Foundation​. It rewards organisations that contribute to Africa’s long term growth and development through an entrepreneurial approach to education and training. The competition is open to all organizations that are based in Africa and working with young people for entrepreneurship in education. This means, organisations that work to cultivate entrepreneurial and workplace skills in youth or find innovative ways to fund education. Organisations running entrepreneurial education programmes can be found across Africa; driven by social entrepreneurs who understand the role education can play within their communities in creating positive social change. All too often, however, these programmes don’t receive the true recognition they deserve. The Pan-African Awards for Entrepreneurship in Education r​ epresent a small step forward in terms of drawing international attention to their achievements. The deadline for entries is August 14th, 2017​. There are three prizes available for top applicants. Alongside winners will also benefit from enhanced visibility and enhanced sponsorship and donor opportunities. In addition, applicants that reach the shortlist stage will be invited to apply for the Future Partner Prize. For this prize, organisations are required to submit ideas on how they could partner with Teach A Man To Fish to take the School Enterprise Challenge programme to a wider audience. Winners will receive a cash prize and will work further with Teach A Man To Fish to become a future partner. For exceptionally high performing organisations, it is possible to win both a top prize and the partner prize. Top prize winners are expected to use the prize funds toward furthering their work as explained in their Pan-African Awards for Entrepreneurship in Education 2017 application. ● They’re entrepreneurial​- they have innovative ways of tackling problems in education, they generate their own income, or they empower future generations of entrepreneurs. ● They’re sustainable​- they are financially, socially and environmentally sustainable in the future and that look beyond donations and subsidies as their primary source of income. ● They create Impact​- they achieve measurable results in terms of educational achievement and economic outcomes for participants and the wider community. 1. You will find an online application form at www.teachamantofish.org.uk/pan-african-awards We are not accepting applications offline this year. 2. Please read the information in this document, the information provided on our website, and the competition Terms & Conditions in full before beginning your application. Please provide details of a named contact at your organisation. It is vital that you provide us with either a working email address or telephone number ​(including country code). All correspondence regarding the competition will be forwarded to this contact. In this section, we require you to give us some basic details about your organization. i: Origins and ambitions: ​This is a space for you to tell us in some detail about your organization’s origins and ambitions. How and why your organisation started and what did it hope to achieve? ii: Your network: ​In this section please make it clear what other organisations you work with (if any) and how you reach the young people you work with be it through a network of educational institutions or youth groups. In order for us to understand the reach of your work we would like you to tell us how many places your organisation is working and the numbers ​of young people who have directly benefited​ from your work in the last year- how many young people have been directly involved in your projects? We would also like you to tell us the number of people in the wider community who have indirectly benefited​ from your work. This section is looking for figures only. i: Entrepreneurship: ​In this section, we would like you to tell us how your educational work is entrepreneurial and how your work has fostered an entrepreneurial spirit in others. For example: Does your work address a gap in educational service delivery in an innovative way? Or, does your educational work generate its own income? 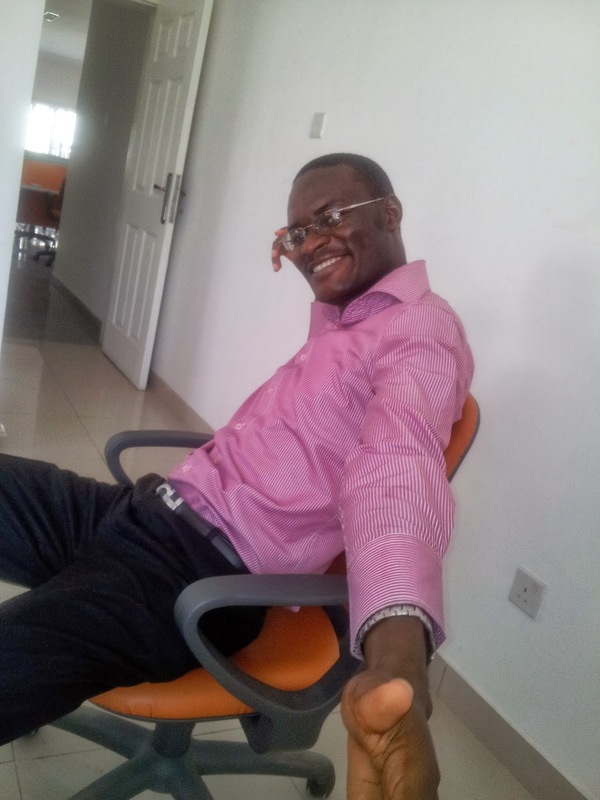 ii: Sustainability: ​It is important for us to know what steps you have taken to ensure that your work in the field of education will be sustainable for years to come. You should tell us what steps are already in place as well as what further actions you plan to take to ensure sustainability in the future. Your explanation should tell us about the economic, environmental and social sustainability of your project. iii: Impact: ​We would like to know what impact your project has had, both educationally and economically. It is useful for us to know the approximate number of people that your project has benefited, as well as how you measure the impact of your project. Please provide figures where possible. In this section we want to see what impact winning a PAN African Award would have on your work. We would like you to tell us how winning a financial prize would help you develop your organization or project. We are especially interested in any plans to scale your project. We will need the details of a referee in order to verify what you have told us in your application. Please ensure that this person will be easily contactable during the months of July and August 2017 when we will be judging your entry. Referees cannot be family members of the entrant, must be independent of your organisation, and should be qualified professionals or government officials. For full details of referee criteria, please see sections 1.4-7 of the competition Terms and Conditions. ● Please confirm here that you have read and understood the competition Terms and Conditions. ● Please confirm that you agree to share your educational business model /methodology with the Teach A Man To Fish community of educational entrepreneurs. Please note you may be asked to complete a telephone interview with a member of Teach A Man To Fish staff and to share relevant materials. ● Please confirm your organization has a working bank account and is able to accept international transfers. ● Finally please tell us where you heard about the competition. ● Please ensure that the email address​ that you provide us with is working and is checked regularly​. If you receive an award and we are unable to contact you, we will reallocate your award to another organisation. ● Write clearly​, concisely ​and in full sentences​. The judges will need to be able to easily read and understand your application. ● Make sure that you complete all questions​. Incomplete applications will not be accepted. ● Please keep to the word limit​ – any content over and above the word limit may not be read by the judges. ● Make sure that your passion​ for education and entrepreneurship shines through in your application by telling us about your approach openly​ and truthfully​. ● Ensure that it is clear why your project is special and/or different​ to other projects entering the competition. You must look critically​ at how you have innovated to provide an entrepreneurial approach to education in a way that is sustainable. ● Bring your application to life​ with your experience and examples of your work that support the claims that you are making in your application. ● Remember, the competition is not just about winning – your application should also be used as a learning tool​ and an opportunity for your organisation to reflect on its achievements and plans for the future.